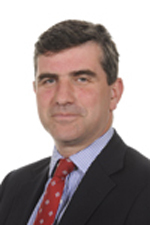 Dr Bernard Prendergast is a Consultant Cardiologist at the John Radcliffe Hospital where he is also the Clinical Director of Cardiac Services. Clinical interests include interventional cardiology, valvular heart disease and infective endocarditis. He is Honorary Secretary of the British Cardiovascular Society, Chairman of the European Society of Cardiology Working Group on Valvular Heart Disease and Principal Investigator of the OxVALVE study, an innovative echocardiographic screening study of valvular heart disease in Primary Care which has enrolled over 2,500 subjects to date.